Poses begin to be linked with the breath in these Vinyasa flow classes. The foundation for more advanced poses will be taught here as well as building strength and stamina. Advanced poses may be given and modifications for the less experienced student. Familiarity with basic poses helpful. This class Cultivates flexibility and stillness with a long held stretch at the deeper layers of the body: connective tissue, ligaments and fascia. Yin yoga emphasizes honoring the uniqueness of each person's body and don't need to be flexible to practice. Also great for joint health and opens the the meridian points, channels of energy based in traditional Chinese medicine, for chi (life force energy) to flow through. It's the perfect supplement to the flow yoga and Iyengar yoga classes and can be meditative. 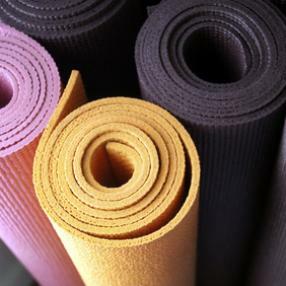 Come enjoy 90 minutes of yoga bliss! We always manage a little meditation, some stretching, and a nice warming flow! I offer clear instruction and lots of options, for a class that's perfect for all levels! Take a mid day break to breath, move and stretch your way to a blissful afternoon! A physical, mental and spiritual technology designed to unite our ego based selves with our infinite higher consciousness. 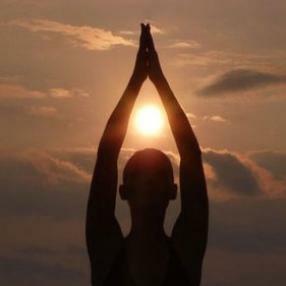 Each class utilizes postures, breath work, mantra and meditation. 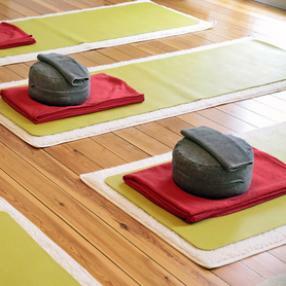 Restorative yoga is all done laying down on your mat with lots of bolsters and blankets holding and supporting you. We do nice long holds in completely relaxed poses, bearing no weight, needing no balance. We stretch the spine in all 6 directions while gently breathing.